No, seriously. I’m a bee. Yesterday was a day of exhausting myself. Lately, I’ve been waking up at 3am. No reason, just waking up. I wake up, look at the clock, and go back to sleep. It’s dumb. So, yesterday I decided to exhaust myself, physically and mentally, in an attempt to not wake up at 3am. What all did I do yesterday? I finished printing everyone’s Grismas presnent. I need to go trim them and put them in envelopes today. I also did a proof of the new woodtype that arrived yesterday from Petrescu Press in Romania. After printing, I split a bunch of firewood. Because my arms weren’t nearly tired enough after a workout, a bank run for Jesus, and printing a postcard. Then, I went to work on exhausting my brain. My actual job, combined with the long drive to and from work, did a pretty good number on it. But the finishing blow was working on the Magnum Opus for about an hour and a half. This current thread is a long one. Nothing quite like another variable to a puzzle consisting of nothing but variables. Today’s post would have been here sooner but I got sidetracked on Pottermore. They released a new thing for Grismas. Actually for the next 11 days they’ll be releasing stuff. 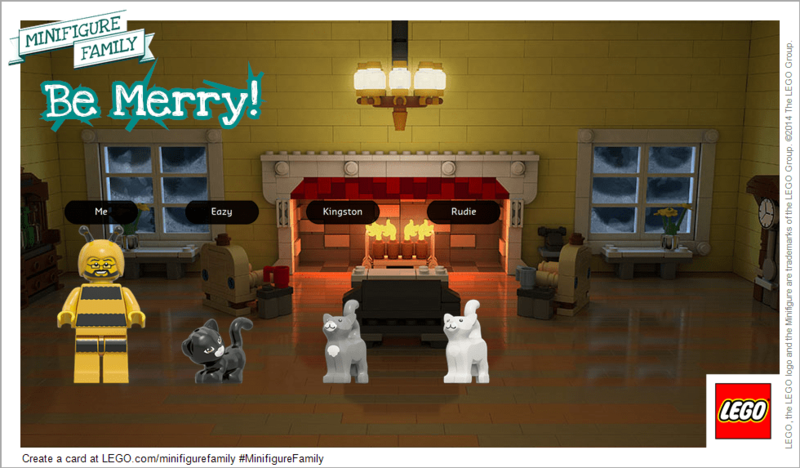 After I fell down that rabbit hole, I got sidetracked on the Lego Club website making a holiday greeting card for you.